What are the cost benefits of participating in Trade Missions? The Trade Mission to Singapore was one of the most well-organized and productive events we have attended. It was an excellent way to meet a broad range of key institutions and private investors in the region, and we found it highly worthwhile. Without the trade mission format it would be impossible to set up 20-30 LP meetings in one day with pre-qualified potential LPs. It would require multiple days and multiple trips. This is a major benefit in terms of dollars, time, and energy saved. The same level of meetings would probably require a minimum of two to three trips to meet the same number of high-level people. These additional trips alone are equivalent to or will cost more than the Trade Mission in terms of airfare and hotel. Without US Government support, you would most likely need to hire a placement agent, which would be a significant up-front cash expenditure. A placement agent would also charge you a commission on your earned management fee and on your performance fee. There are no commissions charged on ANY investments you receive during the Trade Mission. There is a cost in time and energy involved in identifying prospects, securing contact info, contacting the prospects, convincing them to meet and then coordinating the schedule in an efficient manner. The Trade Mission takes place on one day and all the LPs come to your hotel. This is a major advantage and a significant save in time, expense and opportunity cost. As we all know, “Time is Money”. The US Embassy is the “convener of stature” for the Certified Trade Mission which lends a prestige to the event, helps guarantee the quality of the attendees, and limits the attrition prior to the event. 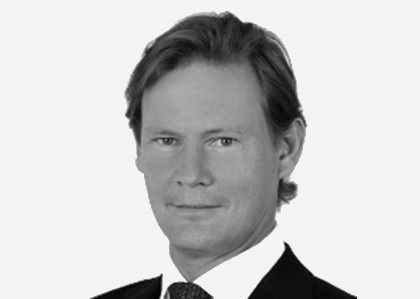 Nicolas Widmer has over two decades of alternative investment experience and has been raising assets for alternative and traditional asset management products for 20 years. 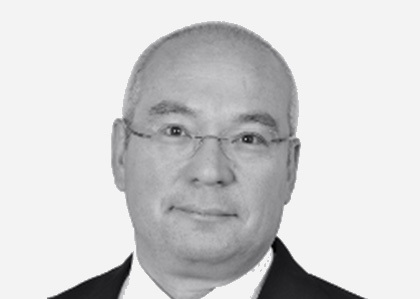 Before founding Aico Partners in 1998 he was active in foreign exchange markets for almost 15 years, both as a trader and in treasury functions, within organizations like Citicorp and JP Morgan. Aico Partners Ltd. and its predecessor Aico Alternative Investment Company AG is one of Europe´s longest standing asset raising firms. Founded in 1998 the firm has successfully been raising capital for asset management products, with a bias to alternative investments like, e.g. hedge funds, real estate and private equity funds, but also for more traditional long-only products. With its origin in the center of Europe, Aico Partners has over the past two decades developed and extended its geographical reach and is today connected to a truly pan-European investor basis across all allocator segments. Christopher Wahlquist has two decades of alternative investment experience and has been raising assets for alternative and traditional asset management products for almost 15 years. Before joining Aico Partners in 2011, he helped build the alternative investment business of UBS at its headquarter in Switzerland. Initially an investment committee member involved in fund selection and portfolio management, he later headed up the team’s global business development efforts, helping bring total AuM to $14bn at peak. Before that he worked for a UK based CTA. He speaks three European languages fluently. Mr Wahlquist holds a Doctorate Degree from the University of St. Gallen and a Masters Degree from the Gothenburg School of Business and Commercial Law. Alfinas advisers is an investment advisory and business development firm founded in 2002, specialising in alternative and niche strategies. Alfinas has successfully provided strategic business development and capital introduction services to managers (funds & corporations) through its unique matching process, designed to meet the specific needs and interests of pre-selected investors. Since 2002, Alfinas has served emerging and established managers through a variety of strategies, helping them make informed marketing decisions by understanding the critical aspects of asset raising in a highly competitive, highly selective and rigorous allocation climate. Marie-Laure Mikkelsen has more than two decades of experience in institutional sales in investment banking and asset management. She was previously responsible for business development for UBS Asset Management Infrastructure and Private Equity funds. She began her career in 1990 as Finance Manager for Public-Private Partnerships (PPP) at the Development Agency (DANIDA) and as a sales-trader at ABN-AMRO and Den Danske Bank in Copenhagen. Marie-Laure Mikkelsen is a graduate of the University of Paris-X and the Copenhagen Business School. 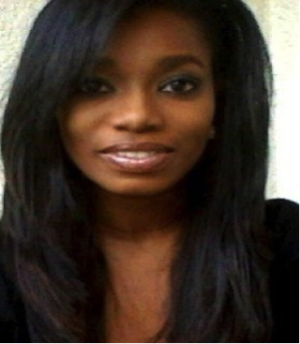 She holds a master’s degree in applied mathematics and a Ph.D., in econometrics, spec. monetary finance. She is a member of the educational committee of the 100 Women in Hedge Funds Association and the Women in Private Equity Association. Swiss LPs will be invited by our Swiss national co-chairmen and the US Consulate in Zurich. We expect strong attendance from more than thirty-five highly qualified pension funds and insurance companies, banks, single- and multi-family offices, wealth management advisors, and high net worth individuals that either have an exposure to US alternative assets or have expressed an interest in doing so in the future. This Certified Trade Mission will provide you the opportunity for one-on-one private meetings with each LP in attendance. Four Hundred LPs have been identified as potential Swiss Institutional and family office attendees. The LP list will be qualified further once the US delegation is selected to ensure compatibility with the US Funds attending. Check in at the Zurich Marriott Hotel. Breakfast in the Executive Lounge. Networking and Registration of US GP delegates and Swiss LP delegates in the foyer of the Century Ballroom. One-on-one meetings, in the Century Ballroom. Members of the US delegation will meet one-on-one with each investment professional from the leading Swiss institutions, insurance companies, pension funds, and family offices. Each attendee will meet with each Swiss LP. Meetings will be approximately twenty minutes long. Check out and depart hotel. Extensions available upon request. *The government of the United States, particularly the US Department of Commerce and the US Embassy is not involved in selecting or recruitment for this mission. Such selection and recruitment is strictly left to the mission organizer. The US and foreign commercial service supports the goals of this event but does not endorse the specific products or views of the participating organization. Payment may be made by wire transfer. Full payment is required to reserve your attendance and is due immediately. Attendance is by invitation only. The quantity of fund manager participation is strategically limited to maximize the level of overall access and one on one meeting opportunities with our foreign institutional investor attendees. Since space is limited, we encourage you to register immediately to reserve your spot. Deluxe accommodations: Two nights at the Zurich Marriott Hotel. Dedicated on site team for you while in Zurich. Complete Conference program including one on one meetings arranged with Zurich’s leading institutional investors and family offices. Distribution of your materials to Institutions prior to the Trade Mission. 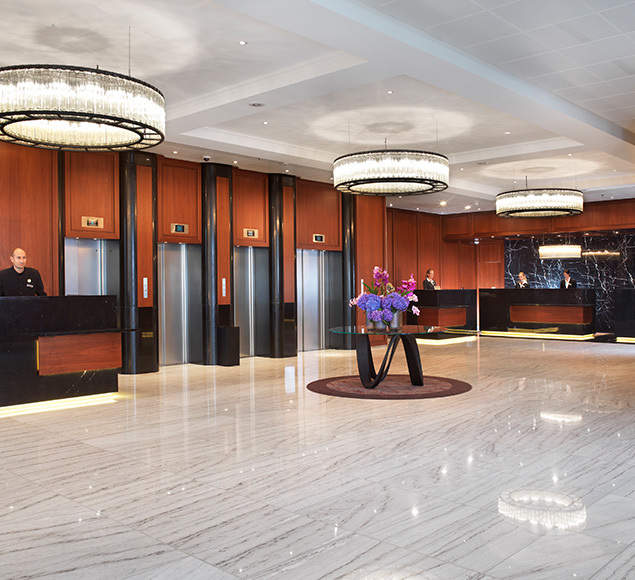 Surround yourself with modern style at the Zurich Marriott Hotel. We feature spacious, brilliantly appointed guest rooms and suites, a range of superior amenities and an incomparable location in Zurich, Switzerland’s bustling city center, close to many well-known cultural attractions and landmarks. Our hotel is a first-class destination for business and leisure travelers alike; unwind with ease in your sophisticated lodging, which features free Wi-Fi access, comfortable bedding, a flat-screen TV and a mini-fridge, or make use of our hotel’s array of on-site resources. Indulge in skillfully crafted cuisine at our two signature restaurants and bar, or keep in shape at our 24-hour fitness center. Those looking for a contemporary venue for a business occasion or social event here in Switzerland will enjoy extensively renovated, flexible venue space, ultramodern technology and innovative planning and catering. Choose the Zurich Marriott Hotel to be your home base while you discover the excitement of the city. Will there be second attendee from your company? Additional attendees will be subject to an additional fee as described above.